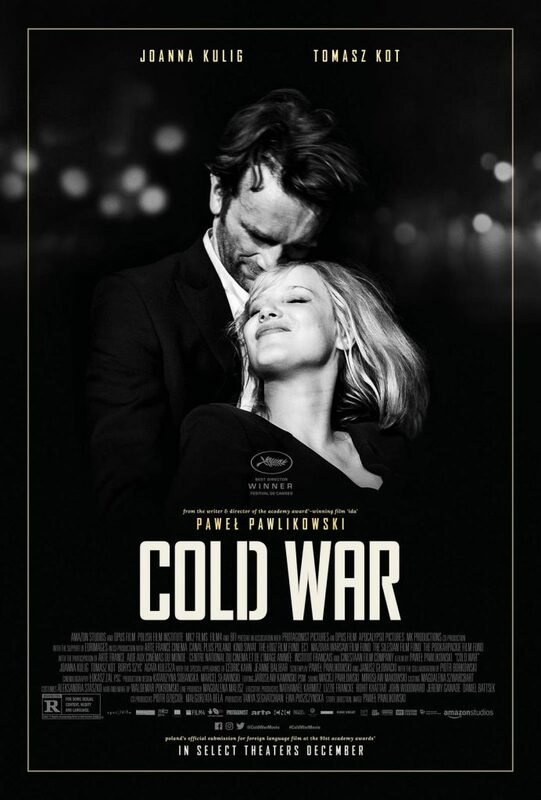 Aaron Neuwirth reviews Cold War, the brilliant Polish romantic drama that presents an epic love story made more difficult by the times and nature of the couple involved. In considering how to adequately express my admiration for director Pawel Pawlikowski’s Cold War, I’ve spent a lot of time thinking about the nature of epics. From a general sense of the term, classifying this Polish romantic drama as an epic would disregard some of the typical elements of this categorization. Cold War is half the length of a standard epic, with a budget that would hardly cover the catering for Middle Earth. However, the span of time covered in this film and the sweeping nature of the romantic bond shared between the two lead characters feel like more than enough reason to place this film in that realm. There’s also the backdrop of the Cold War in Europe, which is never removed from the narrative. Regardless, even if one wants to justify calling Cold War a piece of science fiction, it doesn’t take away from just how stunning a feature this is. Inspired by Pawlikowski’s parents’ lives, here is a film that finds characters on a long and complicated road when it comes to both realizing their love for each other, as well as being able to sustain it. 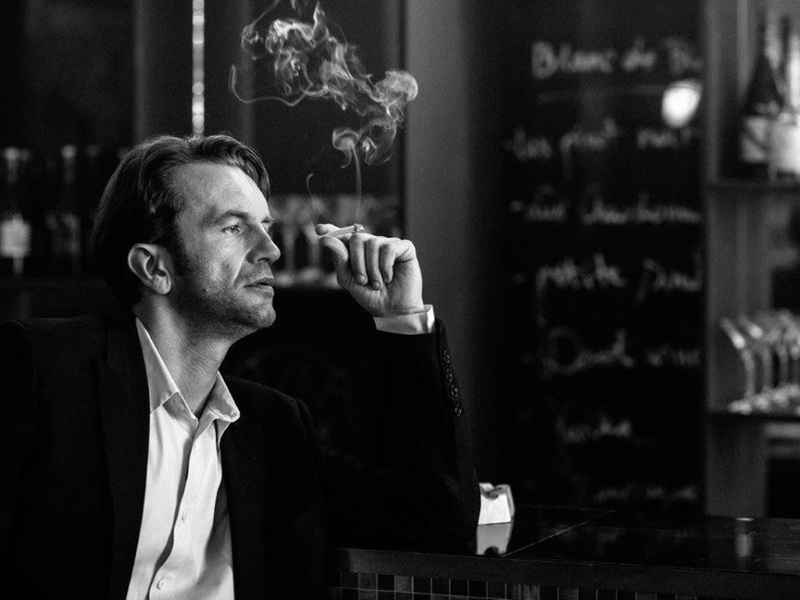 While finding a more cinematic approach for his inspiration, Pawlikowski doesn’t shy away from showing the bitter truths about placing two different people together and the difficulties that arise from both their temperaments, as well as the world that is seemingly working against them. Tomasz Kot stars as Wiktor, a musician who has come to the ruins of post-war Poland to locate talent for a production he and his partner are working on. Joanna Kulig is Zula, one of the women selected for this show, and while we quickly learn of her troubled past, she proves to have a talent, and more that Wiktor finds himself interested in. What begins as a simple affair turns into more, as the two see themselves split up by various twists of fate that include struggles of the country, government interference, career opportunities, and other turns in the story. Stylistically, the film shares a lot with Pawlikowski’s previous film, the Oscar-winning Ida. Cold War is shot in striking black and white and presented in the 4:3 Academy ratio. The excellent cinematography by Lukasz Zal leads to careful framing to account for our focus on the characters, whether they are presented on their own or in the midst of lavish production numbers. Also, like Ida, the film manages to tell its story within 90 minutes. Spanning fifteen years, how is it possible to tell a story that feels like it encompasses so much and generates plenty of emotion? It comes down to brilliant choices made by Pawlikowski, editor Jaroslaw Kaminski, and the performers involved. With an understanding that constantly feeding the audience exact details of what’s taking place in the years we do not see could reduce the film’s impact, and, worse, lead to bad scenes in general, careful choices are made to show the viewer what is necessary. Less is more is the way to look at Cold War, as every fade to black is handled with purpose. Here’s a film that works with the intelligence of its audience by finding ways to provide implied understandings and clues to what sort of things transpired in the time not seen. Meanwhile, every frame of this film that is seen is now more precious. Thanks to the work by Kulig and Kot, along with several supporting characters who continually crop up, I was never at a loss for what I needed to understand about the current state of affairs with these people. Additionally, with time jumps forcing me to keep up with an evolving status quo, I get to see the terrific effort put in by this duo to play new shades of their characters as they grow older and advance into different versions of who they once were. Whether that leads to seeing their growing success, sudden failures, growth towards happiness, or descent into bitterness, Cold War allows Zula and Wiktor to experience a full spectrum of emotions and other defining qualities. Another factor to keep in mind: Cold War is a musical. It’s not a musical in the traditional sense, just like it’s not an epic in the way many define it, but the movie doesn’t shy away from song and dance. We see theatrical productions, solo numbers, stage performances, jazz numbers, bar dances, and more, with a beautiful score by Marcin Masecki to accompany the work done by the actors to show off their musical prowess. Adding to that some early scenes that evoke the folk music of the area, and here’s a film that understands how the changes in composition help inform how these characters advance as the years go by. As implied by the title, Cold War is not beyond evoking the politics of the time as a factor in how this story shapes itself. One can attempt to draw parallels to modern times, but even if there is plenty to explore in that regard, it is well worth emphasizing just how involved I found myself in the connection between Zula and Wiktor, and what it meant to see the changing world around them play a significant role in where things would go for them. Even as the film finds ways to age these two (sometimes to a heartbreaking degree), watching them within a broader context speaks to how affecting the various themes concerning love and circumstance are. Getting back to the nature of an epic, something I can admire about the best examples found in that genre is the way it can relate a vast story to the viewer using a few essential characters. Cold War accomplishes as much by equating the weight of the world to whether or not Zula and Wiktor are meant to stay together, and challenging why it would be possible. Does it come down to politics and geography? Or is there something deeper concerning their level of compatibility, despite their apparent differences? Thinking of these aspects, and watching how it all turns out makes Cold War a marvelous experience that lingers even after the wall has finally come down.